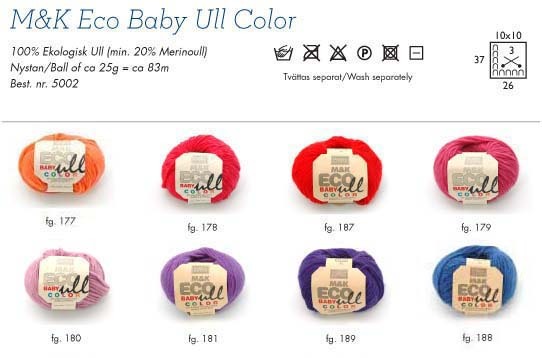 Eco Baby Ull is 100% pure wool, and contains a minimum of 20% merino wool. 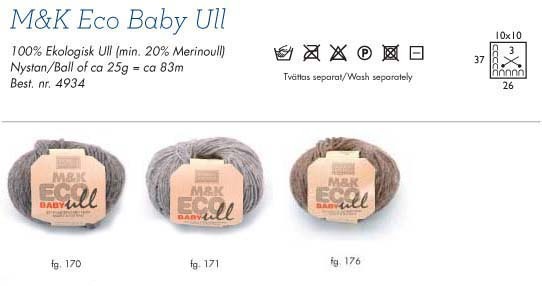 The Baby Ull is the finest spun in the ECO wool range. It comes in 7 natural raw colours, and now also 8 bright fun colours as well.